Backed by rich and reliable vendor base, Dotted Technologies is involved in supplying a wide range of products that includes attendance machine, attendance software, gateway system, EPABX system, intercom system and etc. Besides this, we are also engaged in rendering trustworthy call center services to our valuable customers. 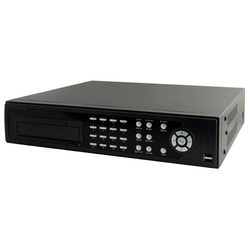 We manufacture Digital Video Recorder, which offers high picture quality and supports up to 1TB external memory. Based in Bhubaneswar(India), we have gained wide appreciation owing to our high quality products and client-centric approach. If buyers are interested in attaining Digital Video Recorder at the lowest prices, our organization is the products' established supplier.